The original poetry shared in this "personal journal" is a collection of the author's idiosyncratic reflections, ruminations, and soul-searching thoughts---her personal observations of life. Each poem has a "theme" or subject, as noted in the titles, with some Christian themes. The author calls them "slices of life," to be enjoyed as the mood dictates. It is hoped that the reader will both enjoy and relate to these poetic expressions. 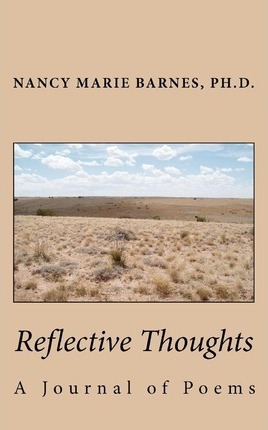 Dr. Nancy Marie Barnes A native of California, Nancy Marie Barnes graduated from college with a BA and then obtained her Master's degree (M.A.) and Doctorate (Ph.D.). Throughout her professional career, she utilized her writing skills, publishing various literary works. In addition, she simultaneously has been writing novels, poetry, nonfiction, screenplays, and web sites. The concept of "service to others" is her motto. Thus, this book is dedicated to sharing with and helping others . . . in assisting interested persons, young and old, in being the best they can be. This book is dedicated to you, its reader.